The Rock of Ages. 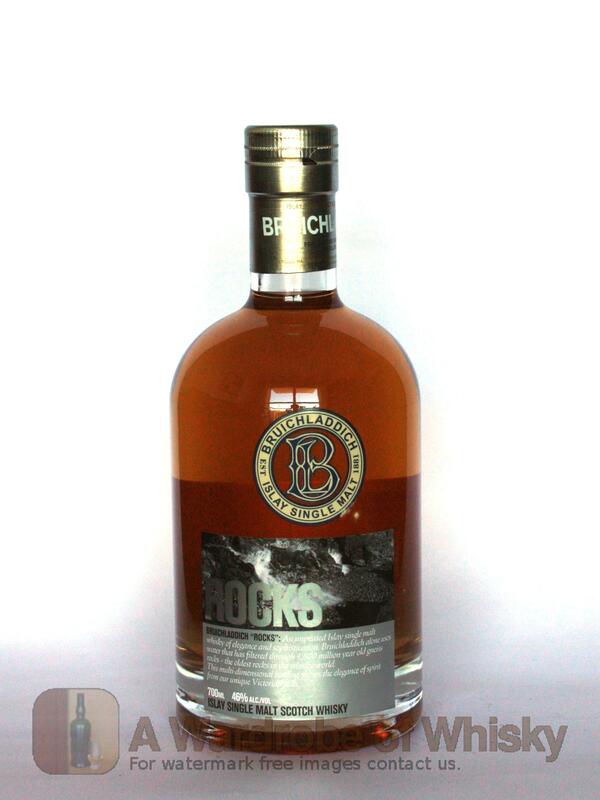 Bruichladdich is built on the oldest rocks of any distillery in Scotland - 1800 million year old Gneiss. Master Distiller Jim McEwan, inspired by his native islands rugged yet beautiful scenery, has created Rocks from a range of contrasting cask types and ages to provide wave after wave of compelling citrus and subtle red berry fruit flavours. Nose (92): inexistent. 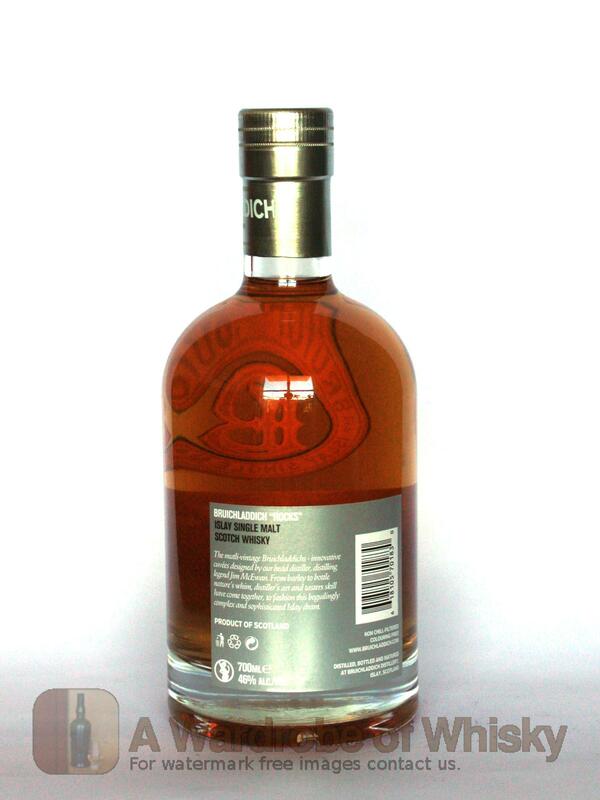 sweet, fruity, plums, strawberries, wood, salt, peat, honey, vanilla, biscuit. First nosing data is innacurate as the previous tasting sheet lacked of this field. Taste (96): . sweet, peat, hot, fruity, wood, biscuit, a little earthy. Bouquet data is innacurate as the previous tasting sheet lacked of this field. Finish (88): no finish. sweet, fruit, wood, honey, peat. Finish length is innacurate as the previous tasting sheet lacked of this field. 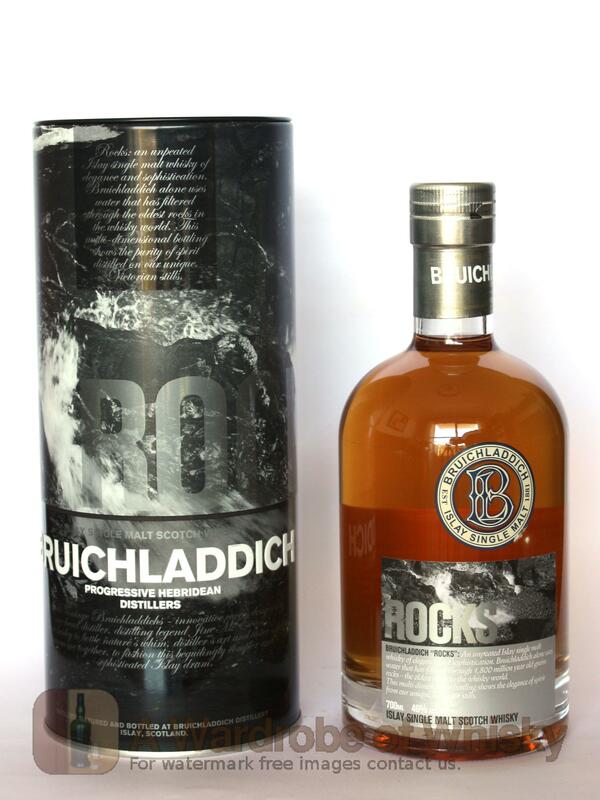 These bottles have been chosen over others because their nose, taste and finish are more similar to Bruichladdich Rocks than the rest. Go to Whisky-o-matic page to fine tuning other settings.